Morning Motivation — What is enough? How much money will it take? How low does the scale have to go? How many “likes” are enough? Enough with the insatiable cravings! Instead of constantly wanting—more money, to be skinnier, to be liked, to be somewhere else—start creating. Get busy creating from what you already have and you won’t have time to worry about what you don’t have. If you focus on creating, you won’t have time to worry about what anyone else thinks of you either. Free yourself! Decide that whatever you have and wherever you are right now is enough. In fact, it’s actually perfect! You have enough money. You have enough talent. You have enough love. You have enough belief. You have enough of what it takes to begin creating from what you have. 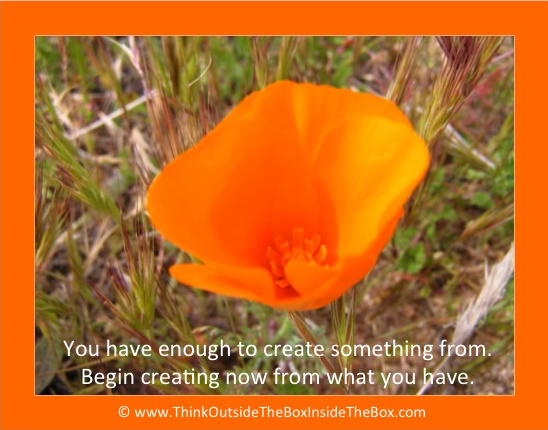 Begin creating from wherever you are with whatever you have right now and feel the power. You have enough to create something from.